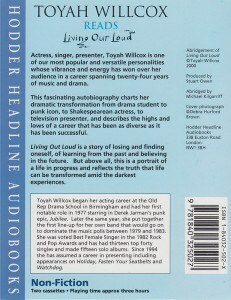 Remember that extraordinary phenomenon of Toyah, that elfin rock star who reinvented her image with every hit single? 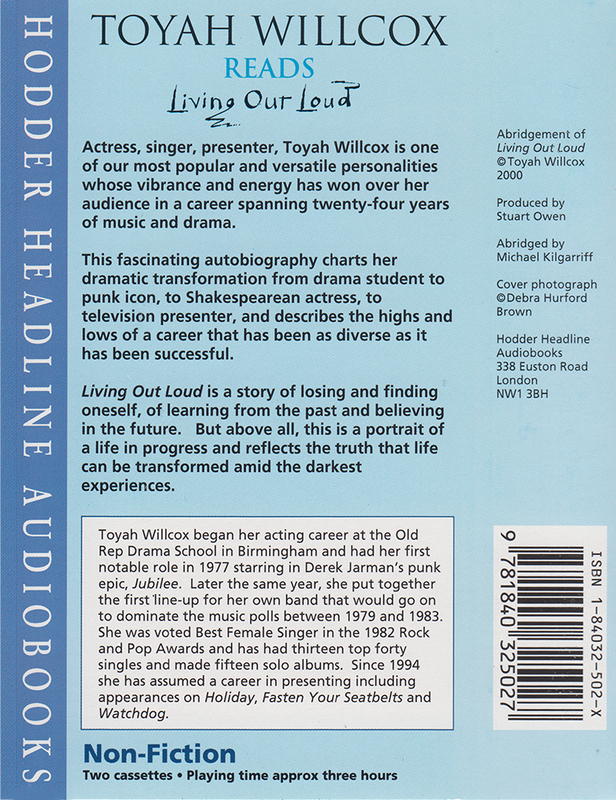 Living out Loud will reveal the real Toyah, and the long, often lonely journey to self-discovery. Being bullied at school for being dyslexic, getting in and out of the drug culture, finding love in a lasting marriage, losing literally every penny she owned. Her relationship with the media is a big theme and her awareness that they were controlling and destroying her life. This is a story about losing and finding oneself and about how some of the most positive lessons come out of the darkest experiences.